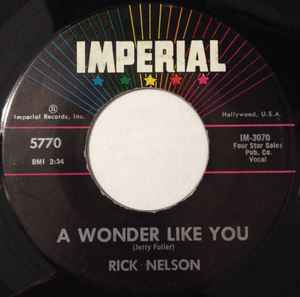 Record Company – Imperial Records, Inc. Published By – Four Star Sales Pub. Co. Published By – Jat Music, Inc. This version is the Pinckneyville pressing plant variation and can be differentiated by the label typesetting and by the 2 etched in the runout grooves.